We generally think of app developers as being detail-oriented, collaborative, and not afraid to let their geek flag fly. They’re often open to change, provided they have time to plan, and you give them some context on the value the changes will bring. The dawn of 2019 promises a shift in device platforms, application architecture, and development methodologies. The most successful programmers this year are ahead of the innovation curve because they’re reading the subreddits and GitHub forum posts. They’re ramping up their skills on Skillshare, getting nanodegrees on Udacity, and training with SaaS vendors their company contracts. As you’ve noticed around the office, coders like comfort when working with new SDKs and APIs which can help them innovate more effectively. Let’s look at four coding trends your development team needs to be ready for in 2019. The rise of AI and machine learning is creating tremendous opportunities for API-savvy developers and coders. Developers can write scripts to create process automation for high-volume, low-complexity tasks around your business. Your employees can be assigned more strategic work which requires more imagination and creativity. The work that they were hoping for when you hired them. A McKinsey study found that 47% of businesses are using some form of AI, and 31% of other businesses are piloting process automation, AI or machine learning. In the realm of document management, AI can make documents more discoverable through natural language understanding and increase security. Remember the days when Microsoft was one walled garden of cloud services and tools, IBM and Google had their own stacks, and trying to get AWS to talk to any of them was futile? Sure you remember, because it wasn’t that long ago – maybe a few years ago. Now, IaaS providers are warming up to the reality that their customers are running Microsoft Azure, Google, IBM Clouds, and AWS in harmony. Infrastructure, development environments, and deployments can be orchestrated from platforms like Azure DevOps. VMWare Cloud Assembly and IBM Multicloud Manager. Managing multiple cloud environments, Docker containers, and related security has never been more achievable. More cloud services options mean greater flexibility for developers. As the demand for continuous integration and continuous delivery accelerates, more companies are adopting Agile practices and DevOps methodologies for their business. Successful businesses are dropping the practice of parking IT and line of business teams in separate silos and limiting opportunities for communication and collaboration. DevOps encourages cross-functional teaming to accelerate feature deployment and shapes coding roadmaps against defined user needs and not speculation. DevOps practices are great for the adoption of microservices application architecture. Different application functions can have dedicated teams from across product management, development, and marketing that specialize in functions like medical imaging or mobile document viewing. These teams can meet in scrums for project work, while still collaborating with their peers across the organization. 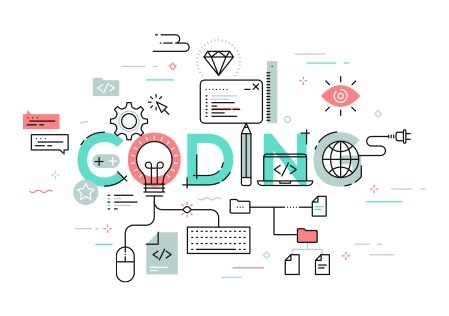 As demand for innovation increases and automated code testing becomes more popular, application developers are increasingly empowered to find ways to work smarter instead of harder. APIs and SDKs are ways to leverage open, supported and tested functionality to meet business requirements like document lifecycle management. If you manage a development team and are looking to get ahead of the coding trends for 2019, we hope you find these suggestions helpful. If you’ve run across other trends you think we should add, share them with us on social media so we can make more of our readers aware of how your organization is enhancing your development efforts with tools and strategies.